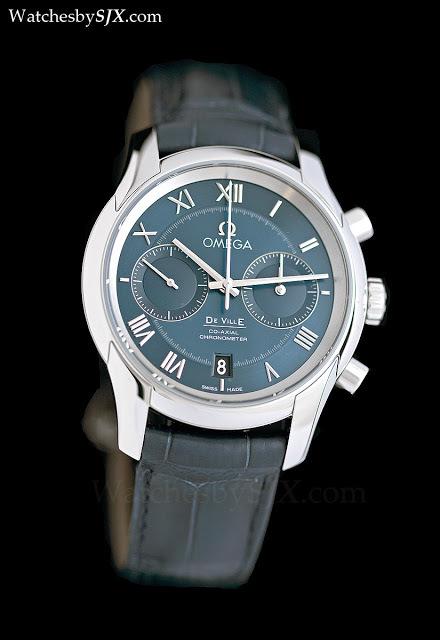 At Basel 2012 Omega presented the revamped De Ville Co-Axial chronograph, shown here in red gold with blue dial. 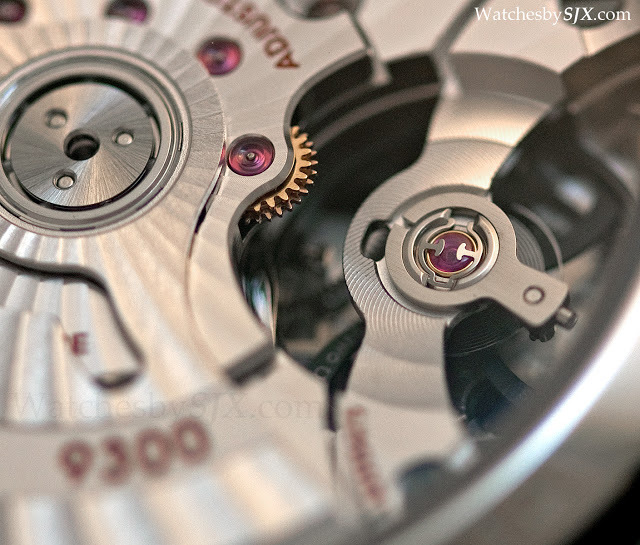 What caught my eye was not so much the high spec 9300/9301 movement, but rather the dial. 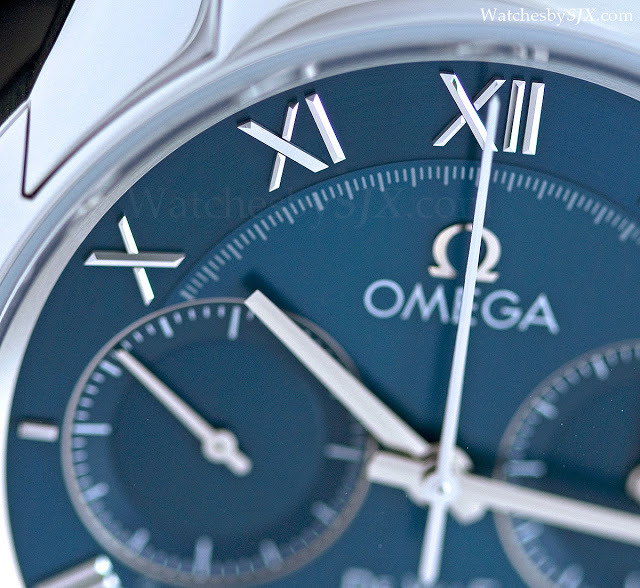 Contrary to contemporary Omega dials, this one has much more interesting detail. 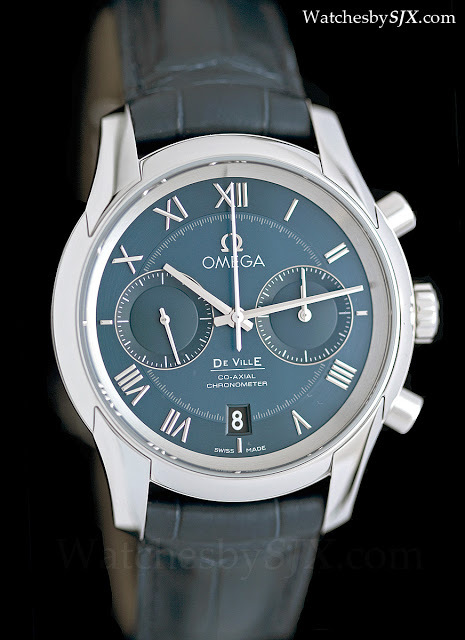 Pictured here is the steel version with greyish-blue dial, and the black dial further down. 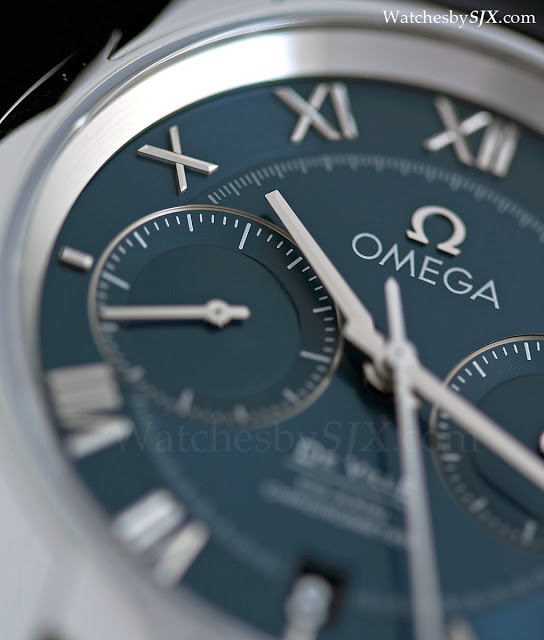 The dial has more three-dimensional detail, and thus depth, than recent Omega watches. 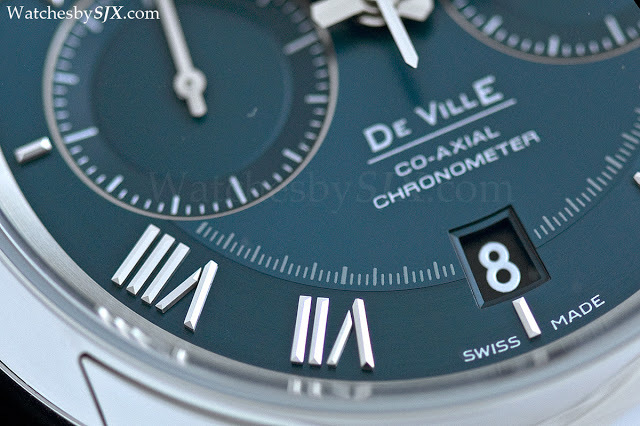 I especially like the applied, faceted Roman numerals which are attractively executed. 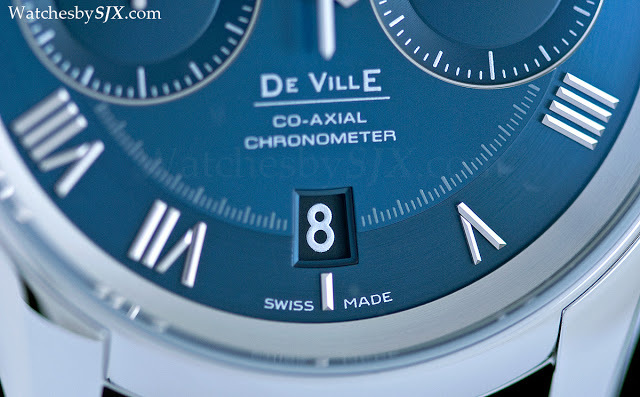 The hour indices are the highlight of the dial. On the other hand (no pun intended), the hands also have subtle facets but are not especially noteworthy. 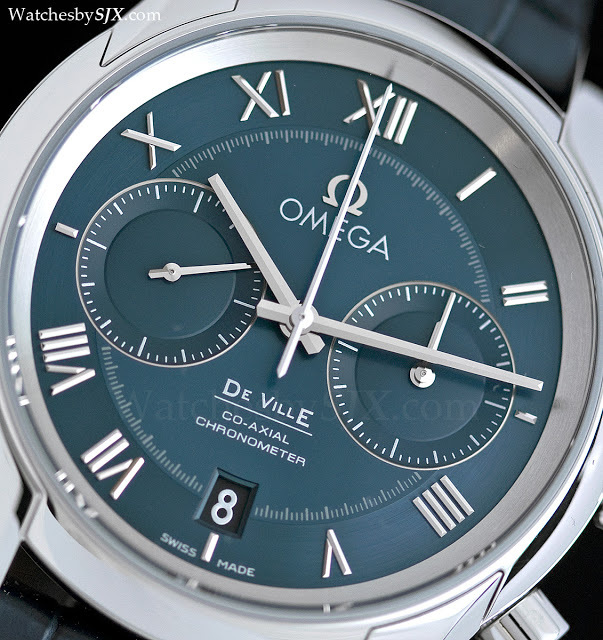 And when magnified the printing on the dial isn’t as precise as is desirable. 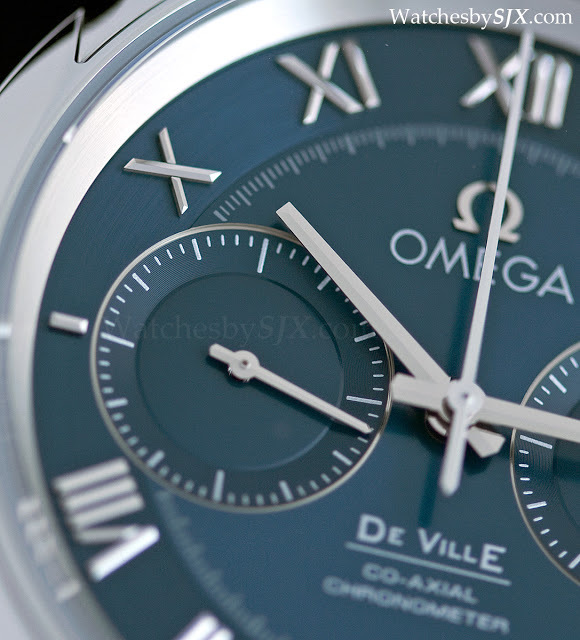 Another detail that matter is the fairly wide brushed chapter ring around the dial. 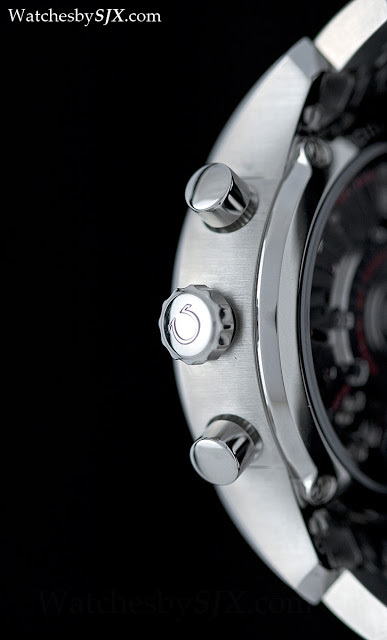 Combined with the concave chronograph subdials, they enhance the perception of depth. 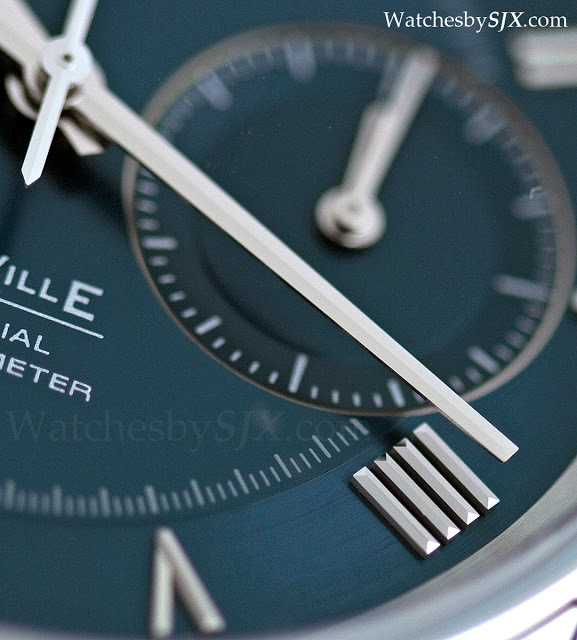 These are small details but they give the dial a much more appealing overall look, and are often overlooked. The case is equally attractive and well detailed. The lugs are separate from the case band. 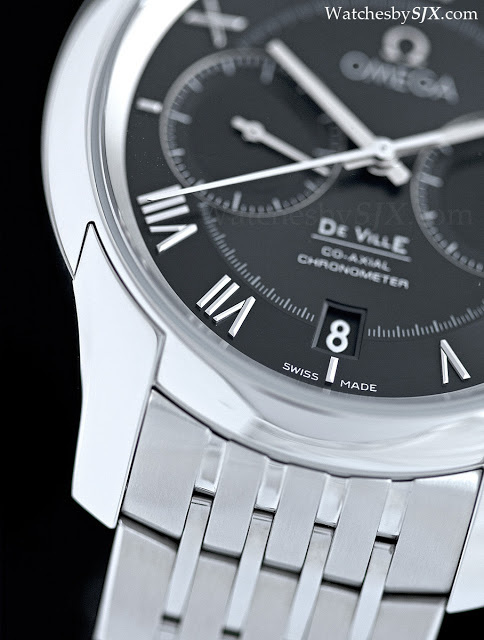 And the case band has sloped sides that give the watch a seemingly slimmer profile. The cal. 9300 movement (cal. 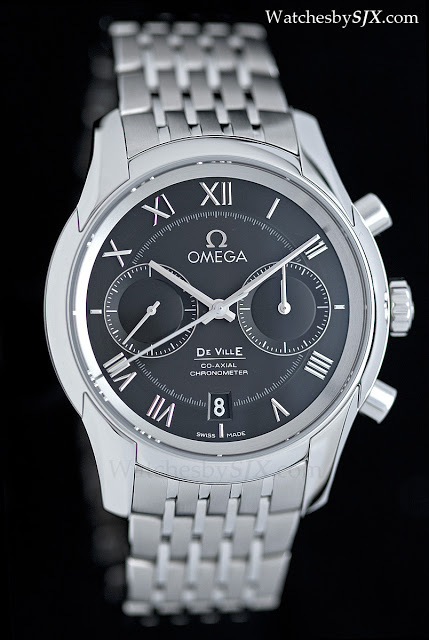 9301 in the gold models with gold rotor and balance bridge) is not new but worthy of mention. 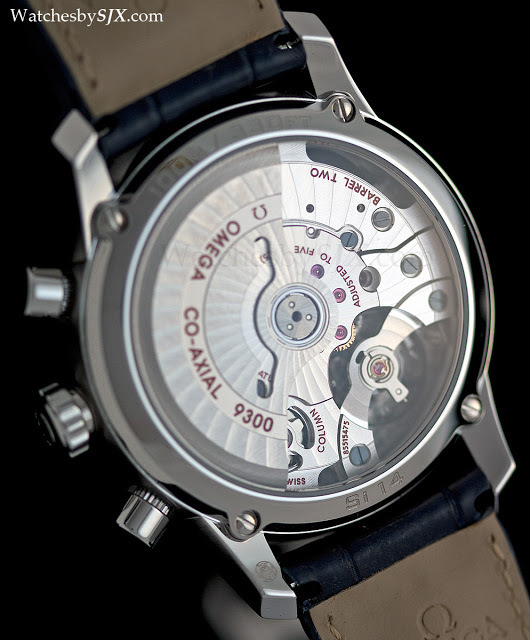 It has an impressive list of features – co-axial hour and minute counters, free-sprung balance, silicon hairspring, Co-Axial escapement and column wheel. 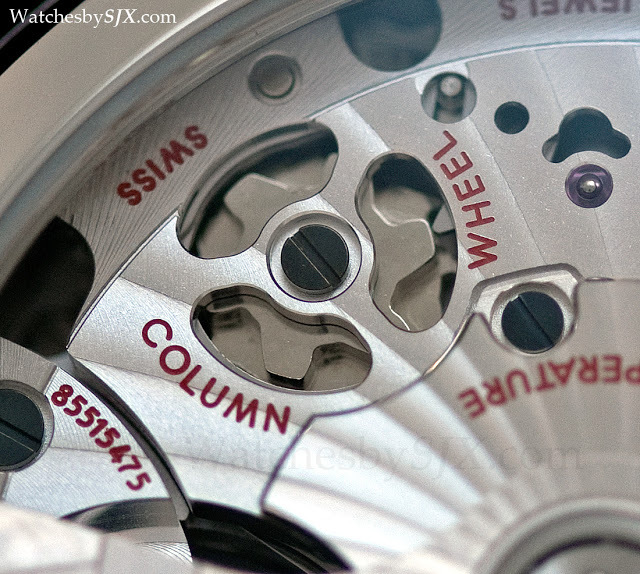 Visually the movement is attractive but looks like the product of machines. Finishing is good but obviously mechanically applied. Notice how the bevelled edges of the bridges are tidy and precise. 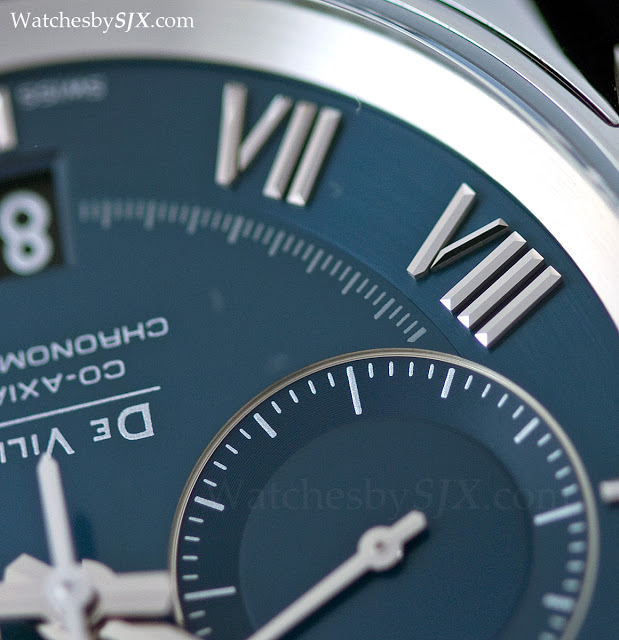 In fact the movement finish reminds me somewhat of Grand Seiko.